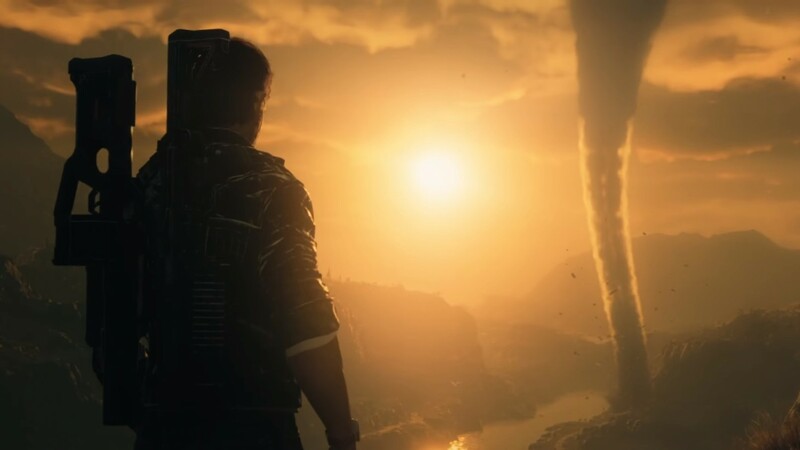 The latest Just Cause 4 trailer has dropped, and with it, fans of the destructive, high-octane South American sandbox should have plenty of reasons be excited for the latest installment. Set in the fictional city of Solis, the trailer showcases the new playable landmass which Avalanche Studios says will be the largest in series history, brimming with diverse biomes modeled after real-life South American geography. Built around its new Apex Engine the trailer also gives fans another glimpse into the new extreme weather systems, giving us blizzards and tornadoes, as Rico Rodriguez drop kicks enemies using his now-upgradeable grappling hook and fires off rounds with what appears to be a railgun. Promising more weapons, vehicles, and destructibility than ever before, Avalanche says this Just Cause will be a “landmark entry in the series,” and the way the trailer looks, this doesn’t seem too far off the mark. But you don’t have to take our word for it, check out the trailer below to see all the beautiful, over-the-top destruction for yourself. Just Cause 4 is slated to release December 4 on PlayStation 4, Xbox One, and PC. For all the latest news and info on Rico's latest adventure, be sure to grapple your way over to our Just Cause 4 news hub.